Redstick politics is now being visited again by the infamous Spin Doctors. When this happens sometimes we are humored, sometimes we get angry. Most of the time, we listen. It’s a sort of magical mesmerization that takes place. The 6th congressional district race has a full array of candidates vying for former congressman Richard Baker’s seat. The last few days include a battle between two of those candidates: Woody Jenkins and Paul Sawyer. It is our job as voters to sort out the spin from the truth. Paul Sawyer claims his former employer, Richard Baker, has endorsed him by displaying Baker’s picture on his campaign commercials and in his mailers. Baker denies endorsing Sawyer according to John Maginnis. Sawyer: guilty of spin! Woody Jenkins is currently being attacked by Sawyer for doing business with well-known klansman David Duke for a mailing list, which he did indeed purchase in a past campaign, though Jenkins is attempting to deny this fact. Jenkins: guilty of reverse-spin! Paul Sawyer would have us believe that every positive accomplishment by Baker as congressman should be attributed to Sawyer since he worked for him. Sawyer: guilty of spin! Jenkins would have us believe that he has the best chance of winning this election, though he led us down that rosy path in 4 other elections where he lost including: 1978 loss to J. Bennett Johnson for U. S. Senate, 1980 loss to Russell Long for U. S. Senate, 1996 loss to May Landrieu for U. S. Senate and 1999 loss to Suzi Haik Terrell for Commissioner of Elections. Jenkins: guilty of spin! Score: Sawyer: 2 vs. Jenkins: 2 Spin is spin is spin. Their spin is making me dizzy! I expect more spin from Sawyer on Jenkins history with his non-profit, Friends of Americas, for refusing to register as a non-profit, for hiring a woman who absconded with nearly $300,000 before he figured it out, and his blatant refusal to reveal income numerous times in the past as a candidate. Jenkins, on the other hand, will most likely reverse-spin Sawyer’s spin as well as spin Sawyer’s delusional expectation that he should be heir-apparent for Baker’s seat. Expect more spin and reverse-spin in this race. Stop the politics of old. New leadership is needed. 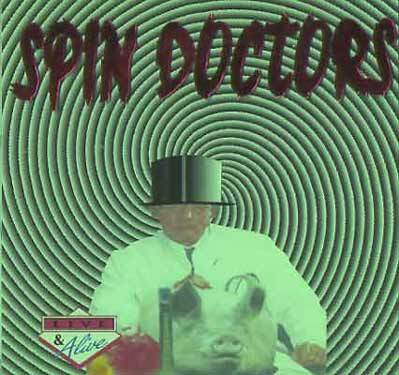 Try looking beyond these two spin doctors. Seek out a better candidate that shows more common sense, business savvy and concern for the people of the 6th congressional district vs. candidates trying to spin us into a state of confusion. Enough!